The proof is in the sauces! What’s the #1 thing that gets people when they’re trying to eat healthy? The innocent seeming sauces added to most food. And lots of my clients are worried about all that fat hidden in those sauces. But my main concern is something different. I’m concerned about the loads of sugar and salt hiding in plain site. When I have clients frustrated that the scale won’t move, I start asking them what’s in the sauces on their plate. And most of the time they don’t know. This is where the problem begins. It is important in getting healthy to get all that excess sugar and salt out of your diet. And one of the healthiest ways you can do this is start being accountable for the ingredients in your sauces. And this is why homemade sauces can be the superhero, coming to save your healthy diet. But here’s the reality. You’re super busy. I get it because so am I. But this doesn’t have to be a complicated matter. Sure, a sauce that has hours to simmer might be amazing. But you can also make something tasty in just a matter of minutes. And as a bonus, you’ll save so much money compared to all the processed options. 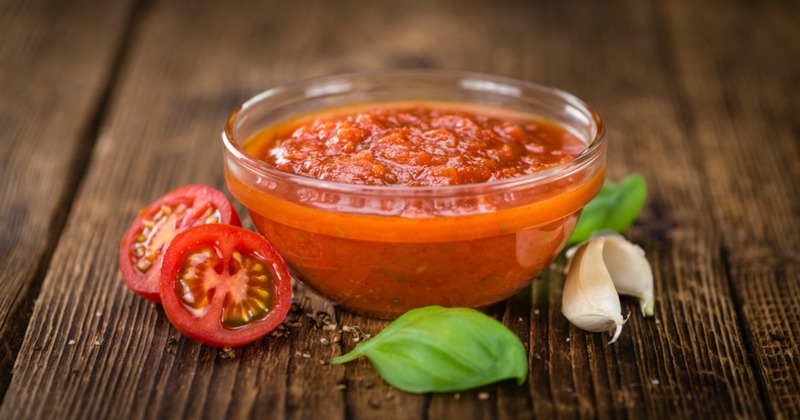 Quick and healthy homemade sauces! In a pot, combine olive oil and garlic. Cook until tender. Add in remaining spices and cook another 60 seconds. Add crushed tomatoes and tomato sauce. Simmer for another 10 to 15 minutes and serve. Combine all ingredients in a food processor and blend until smooth. Add to a salad or any stir fry. Too easy! Place the avocado and olive oil in a food processor. Squeeze the lemon and add the spices. Blend until the mixture is smooth. Scrape down the sides if necessary and re-blend. Use immediately and keep leftovers in an airtight container. So now you’ve taken a few minutes and made your own sauce. Great! You’ve taken an easy step to make your diet instantly healthier. What’s next? 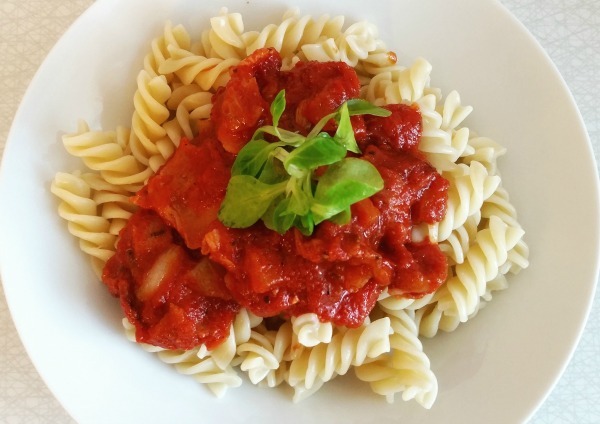 Use the red sauce on a zucchini pasta or on a cauliflower crust pizza. Use the peanut sauce on a veggie, chicken stir fry. And use the avocado dressing on a heaping salad. These sauces help you make healthier versions of your favorite cravable comfort foods. But even if you’re not ready to go all veggie noodle (hey, sometimes you just need real pasta! ), you’ve still done something fabulous. You’ve saved yourself 8 to 10 grams of sugar and up to 1000 mg of sodium, You’ve eliminated MSG, toxic vegetable oils, natural flavors and other sketchy ingredients from your meal. And you’ve added fresh veggies, superfoods and healthy fats. Way to go! See, making homemade sauces can be easy. And you do have the time! Now just do it and see how great you feel! I make all our own sauces especially when our garden is at its peak. I can tons of sauces for winter use. I have also started dehydrating tomatoes for tomato powder. Makes great fast sauces. These are great recipes and totally do-able! Love that avocado dressing! 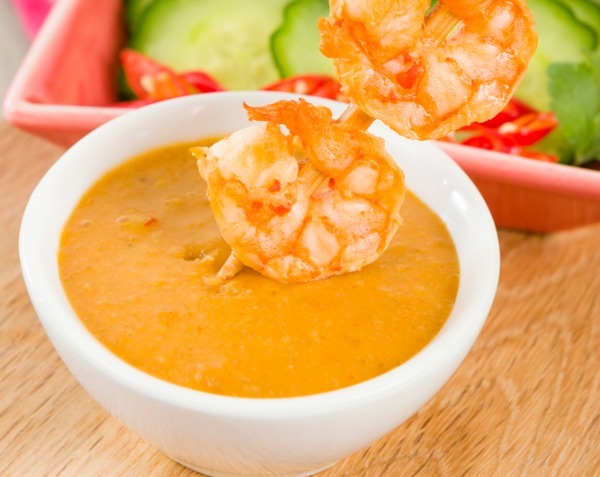 I love the peanut butter sauce that will go so well with all my seafood and meat dishes! Thanks so much! I 100 percent agree that sauces are sneaky!!! Salad dressings can be so loaded with sugar! And the avocado suggestion sounds delicious! 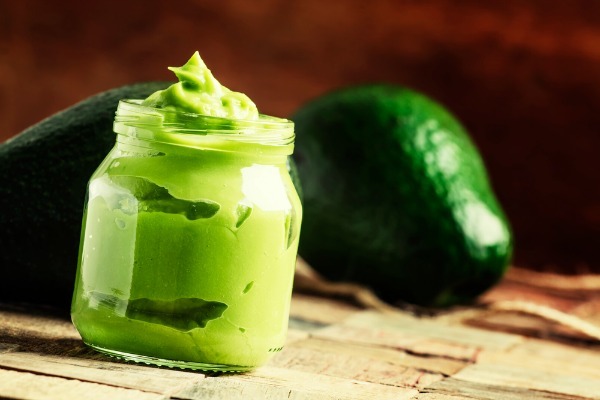 I love the idea of avocado salad dressing. Definitely a good way to get those healthy fats in! These are fantastic ideas to do! I love trying new sauces. I am a health nut too but have never tried these. Thanks for sharing. I made the shift to making our own sauces a few years ago, and once I started I have never looked back! It’s a healthy shift, and they taste better… what’s not to love??? These sound delicious! I need to try the peanut sauce! I’ve been looking for a tasty peanut butter sauce. Pinning and can’t wait to give it a try. Thanks. I need to try making an avocado dressing! Seriously so simple and delicious. Great recipes! I’ll be trying the peanut butter sauce soon! Just had avocado as a side with my shrimp for lunch today. I said I wish we had an avocado tree in the yard! I think I could snack on one every day. I don’t eat too many sauces and buy very few at the store. Good to know I’m avoiding at least one bad thing! I love homemade sauces. My mom always makes spaghetti sauce a couple gallons at a time. I make a lot of my own sauces too.